(Austin) — State legislators can start passing bills associated with certain issues after Governor Greg Abbott declared five emergency issues during his State of the State address Monday. The state constitution prohibits passing legislation before the 60th day of session unless it relates to an issue declared an emergency by the Governor. Abbott announced Monday that bills related to early education, university research funding, transportation funding, border security and ethics reform are emergency measures, so both chambers can start voting on these types of measures. These five issues were among several priorities Abbott highlighted in his first State of the State speech. He also called for tax cuts, saying that he would reject any budget that didn't include significant relief for property and franchise taxpayers. Answering calls from Lt. Governor Dan Patrick and other state elected officials, Abbott announced he would order the Texas National Guard to stay on the border to help maintain security until proposed DPS manpower and equipment increases are in effect. He also laid out a budget proposal that included more funds for roads and bridges, drawing on funds approved by voters last November as well as ending diversions from state highway funds to other budget areas. While emergency declarations from the Governor are one way to get past the 60 day prohibition on bills, the other is to suspend that rule with a vote of four-fifths of the Senate and House. That's what Amarillo Senator Kel Seliger said he plans to do with a bill he laid out before the Senate Education Committee on Thursday. Seliger said that there are 28,000 Texas high school seniors who are in danger of not graduating in May because they haven't passed required end of course assessment exams, and that may not be fair. "I think our accountability system is increasingly becoming a good one, [but] we should not treat it as though it's a perfect one or necessarily describes the accomplishments of the students," he said. His bill would set up a graduation committee for students who have passed all their required course work but have not passed one or more required STAAR tests. Made up of educators and parents, these committees would look at the entire body of a student's academic career and would decide if the student is ready to graduate. That bill remains pending before the committee. The Senate Finance Committee continued work on the state budget this week, hearing agency requests from education and health and human services agencies, but took time on Wednesday to look at problems in the state contracting system. Testimony from the State Auditor's Office revealed that the system has problems with documentation, conflicts of interest, accounting practices and accountability. There is no central database or clearinghouse for state contracts, and Senators worried that the state is paying money for contracts with no oversight. "How much are we not seeing? It is shocking to me what we're learning and I think we're just scratching the surface," Finance Chair Jane Nelson told committee members. "It's outrageous, we're going to get to the bottom of it and we're going to fix it." Nelson said this issue is her committee's top priority for the session after the budget, and after budget hearings conclude her panel will turn its attention to reforming the state's contracting system. Hearings on the state budget are scheduled to wrap up by March. 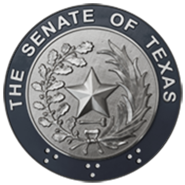 The Senate will reconvene Monday, February 23 at 2 p.m.